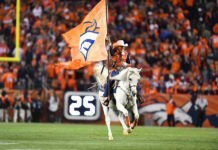 With the 2018 NFL Draft on the doorstep, many draft experts suspect that the Broncos will select a new signal-caller, while others suggest they’ll take the best available player at No. 5 or perhaps even trade back with a team desperate for a quarterback in this year’s draft. It remains a mystery as to which quarterback Denver would prefer with the fifth overall pick. Each of the top quarterback prospects presents unique strengths and weaknesses. In the event they select their future franchise quarterback, here is how each of the four top quarterbacks in the draft would (or wouldn’t) fit with the Broncos. Darnold is widely considered to be the top quarterback prospect available in this year’s draft and the chances of him being available for the Broncos at the No. 5 overall pick are slim to none. Though general manager John Elway and the Broncos’ brass have done their homework on Darnold with a private workout, Darnold has been rarely linked to the Broncos at all throughout the draft process. Barring any unforeseen circumstances, Darnold should be long gone before the Broncos are on the clock for the fifth overall pick. 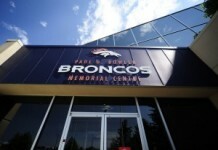 Elway, however, has said that Denver is willing to move out of the No. 5 pick — both up or down — if the right situation presents itself. There has been very little noise about Darnold to Denver, but Elway has pulled surprise trades in the past. It’s not impossible to believe he could do the same and move up if he really covets Darnold. The former USC Trojan ran a pro-style offense in college, but could benefit in Denver from have Case Keenum ahead of him on the depth chart for at least a year — maybe two. While other teams that are eyeing him might throw him right into the starting lineup, Denver could be an ideal situation for the young Darnold, who turns 21 on June 5. Rosen’s fit with the Broncos could be an intriguing one. For a fanbase and front office locked in a “win-now” mentality, Rosen might be the quarterback best prepared to play on Day 1. The only problem with doing so is that the Broncos signed Keenum to a two-year, $36 million contract. How would Rosen react to sitting on the bench waiting for his opportunity to play? Additionally, will Rosen’s attitude be accepted in the Broncos’ locker room and mesh with leaders on the team? While Rosen’s talent is easily capable of starting for a team like the Broncos, he will need to prove that he can be a leader while being dedicated to the game of football. The quarterback everyone in the city of Denver is smitten with, Mayfield captured America’s attention by famously planting the OU flag on an opposing team’s field, and by making an inappropriate gesture towards another opponent’s bench. While draft analysts are split as to how Mayfield’s play will translate to the pro game, his passion and love for the game are unquestioned. On one hand, Pro Football Focus has Mayfield as their top overall prospect in the entire draft. On the other hand, Mayfield has numerous red flags going into the draft: his maturity, his height and the fact that he played in a college offense that has historically translated poorly to the NFL. Mayfield has been tied to the Broncos ever since the team requested him for their Senior Bowl squad. They even hosted him for a private meeting at club headquarters. 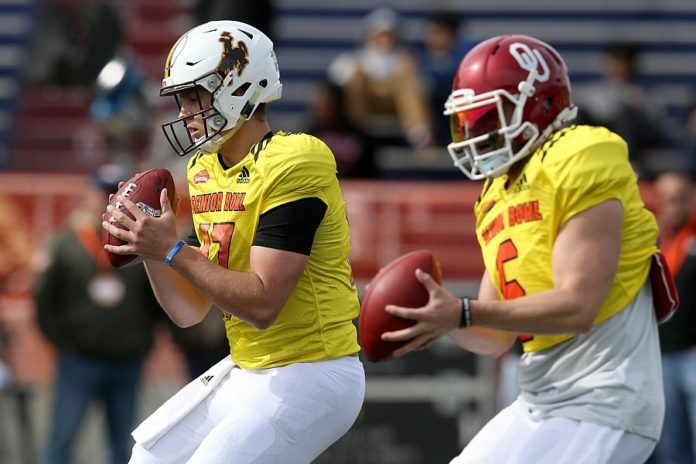 Mayfield would be an intriguing fit for the Broncos, because sitting behind a veteran like Keenum would allow Mayfield to adapt from the spread offense he played at Oklahoma to the Broncos’ offensive scheme. Mayfield’s electric playmaking ability and immense love for the game of football set him apart from his fellow quarterback prospects in the draft. The issue now to overcome is if he can take advantage of that talent and develop into a mature starting quarterback. Josh Allen seemingly has it all in terms of talent. 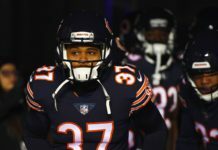 Standing 6-foot-5 and 240 lbs, Allen has a once-in-a-generation cannon of an arm and a commanding presence and charm that has wooed NFL scouts in the entire draft process. Doesn’t that sound familiar, Broncos Country? While Allen would make for an exciting player to watch on Sundays, in theory, in reality, the Broncos already have a Allen-like prospect on the roster in the form of 2016 first-round pick Paxton Lynch. Lynch and Allen share similar frames, boast a rocket for an arm and have the same red flags coming into the draft; namely their lack of accuracy in college. Allen’s final completion percentage in college was 56.2, which isn’t a good number by any means. Like Mayfield, Allen would benefit greatly from sitting behind a veteran (like Keenum) before seeing time on the field as the team’s starting quarterback. Allen has all of the physical traits that Elway covets in his starting quarterback (height, frame, arm strength) yet the team has seen little to no success with previous quarterbacks of this mold in both Lynch or Brock Osweiler.